Joshua Blum is a Pima Community College Police sergeant and DUI coordinator who’s worked for Pima since 2012. Through his years of service, he’s seen it all, from assaults to stolen laptops. Q: What are some factors that would require different staffing needs? 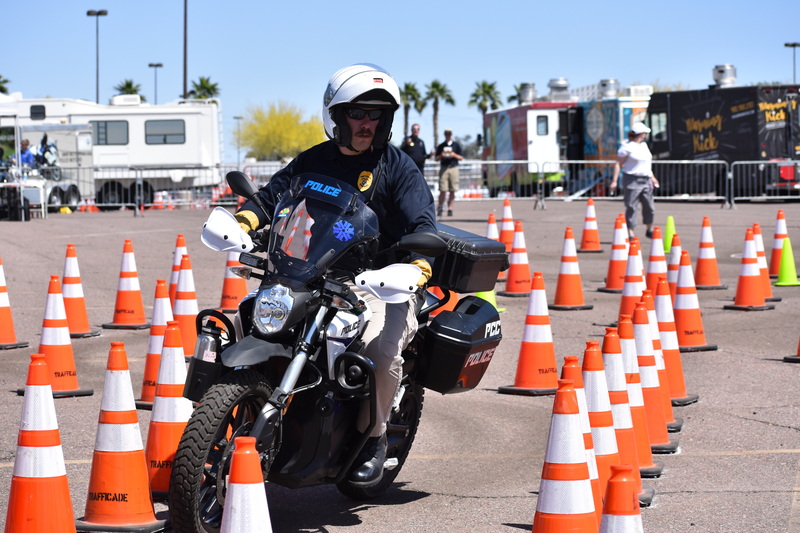 Q: What made you decide to become a police office for Pima? “I enjoyed working for a smaller agency; it allows me to provide more engagement to the community rather than employ services as quickly as possible so that I can move on to the next call. Q: What’s the process of becoming a police officer? “First you apply online; you take a physical agility test; then there’s a written test. And the folks who move on from the written test and physical test oral board interview channel that involves officers and other members of the college that interview each applicant. Then the board recommends to move the person on or not recommend them. “Then there’s the same idea, an oral board interview with … administrators from the college, who ask their own questions. After that, the applicant moves onto a medical test. They go to a doctor’s office, and if they meet all the medical requirements … then there’s a background examination test. Just about your whole life history is looked into. Anything from previous employers, neighbors and even local police stations you’ve lived near. “Then they look at school records and finally give you a polygraph test. After that, they decide whether or not send you to the police academy. “Once you graduate, you move onto field training where you’re paired up with a senior officer who evaluates you for 16 weeks. Assuming you pass that, you move into a probationary period. After that probationary period, you then become a regular full-time police officer. Q: What’s taser training like? Q: What are the legal limitations of using a taser? Q: Does every police officer need to get sprayed and tased after training? Q: Have recent social issues affected you? Q: What are some misconceptions people have about college police? Q: Is there any serious danger and criminal activity Pima students should be aware of? Q: Has there been an event you’ve been through that has made you feel grateful to be a part of the force? Q: How can students stay safe on campus? Q: What’s your favorite cop joke?